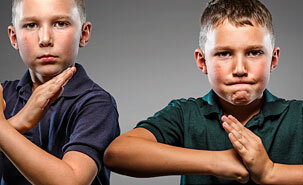 A previous study by Ouellet-Morin, conducted at the Institute of Psychiatry in London (UK), showed that bullied children secrete less cortisol—the stress hormone—but had more problems with social interaction and aggressive behaviour. The present study indicates that the reduction of cortisol, which occurs around the age of 12, is preceded two years earlier by a change in the structure surrounding a gene (SERT) that regulates serotonin, a neurotransmitter involved in mood regulation and depression. Isabelle Ouellet-Morin is a researcher at the CSHS affiliated with the Centre de recherche Fernand-Seguin of the Hôpital Louis-H. Lafontaine. She is interested in the impact of victimization experiences on mental health and behavioural problems in adolescents and young adults, the underlying physiological and psychological mechanisms, and the factors that contribute to the vulnerability and resilience of individuals subjected to these experiences. She is also assistant professor at the School of Criminology at the Université de Montréal and researcher with the Research unit on children’s psychosocial inadaptation. Affiliated with the Université de Montréal, the Centre de recherche Fernand-Seguin of the Hôpital Louis-H. Lafontaine and its partners, the Hôpital Rivière-des-Prairies and the Institut Philippe-Pinel de Montréal, is recognized by the Fonds de la recherche en santé du Québec. At the forefront of knowledge, it is one of the most important institutes for mental health research in French-speaking Canada. The CSHS is a centre of studies of the Centre de recherche Fernand-Seguin.